The independent Scottish Fiscal Commission (SFC) said the shortfall was due to issues with the data, particularly the number of additional rate taxpayers. Opposition politicians warned that it could mean that a recent shake-up of tax bands by the Scottish Government was based on figures which were “badly out”. But the Holyrood government insisted the Scottish budget was “protected” and that the revision was “expected”. In May, the SFC estimated income tax liabilities of £11.3 billion for 2016/17, but final figures published by HM Revenue and Customs show they were actually £10.7billion. It also noted that there was a £50million overestimate of revenue raised by business rates in a forecast made by SFC in December. 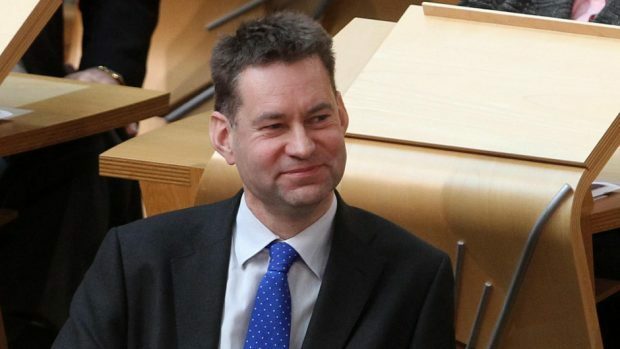 Scottish Conservative shadow finance secretary Murdo Fraser said: “This analysis shows there are considerably fewer earners on higher and additional rates than the SNP government thought when it was plotting its tax hike. A Scottish Government spokesman dismissed the claims, however, saying: “There is absolutely no impact on the Scottish budget or planned spending as a result of this 2016-17 outturn figure. “The Scottish Fiscal Commission forecast the 2016-17 figure based on HMRC survey evidence on the number of Scottish taxpayers. “It was always to be expected that this forecast would differ from out-turn data and is why the Scottish budget is protected from any such change. “Our income tax policy change for 2018-19 has raised additional revenues to help us reverse the impact of the UK Government’s austerity drive, protect our public services and support the Scottish economy.